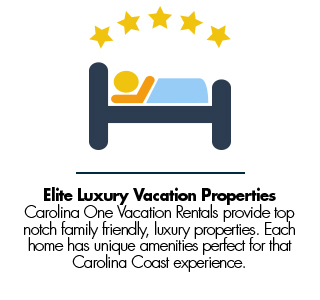 Carolina One Vacation Rentals is a full service Vacation Rental Company serving the Charleston Coast from Isle of Palms, Wild Dunes , Folly Beach all the way to Edisto Island. With over 25 years of experience in the Resort Rental Management market. Carolina One Real Estate is the largest Real Estate firm in South Carolina with over 950 licensed agents in 14 offices throughout the Charleston metro area. We have a portfolio of luxury vacation homes with over 230 properties under management ranging from 10 bedroom homes to 1 bedroom condominiums. We have a staff of over 18 professionals, property managers, inspectors, and reservation specialists along with a full service accounting, marketing and IT department. Charleston Resident for over 30 years Win has served as the Vacation Rental Director for Carolina One since 2009. Win has an extensive background in Hospitality Management that includes: Front Office Manager Waterford Hotel OKC, Rooms Division Director Kiawah Island Resort, Property Management Director Wild Dunes Resort, Director/ Partner Carolina One Vacation Rentals. Win holds a bachelor’s degree Business Management from the University of Oklahoma and holds a brokers license at Carolina One Real Estate. Prior real estate positions were held at Wild Dunes Real Estate. Originally from Eastern North Carolina, Alex has been involved in the Charleston hospitality industry for the last 10 years. The majority of Alex's hospitality experience has been focused Folly Beach as he has grown the Carolina One Vacation Rental program from a handful or properties to the 50 plus currently under management. A graduate of East Carolina University, Alex lives a few miles off Folly Beach on James Island with his wife Jillian, son Jackson and two dogs, Clancy and Sookie. Alex holds a South Carolina Real Estate license and is an active member of the Folly Beach community. John Sigler was born and raised in the Lowcountry. John worked for years in the restaurant and hospitality business, working as the GM for one of South Carolina’s highest volume establishments. Previously working on the Isle of Palms for over a decade, he now directs the knowledgeable property management team for Carolina One on Edisto Beach. He along with his wife and son fell in love with Edisto years ago and are delighted to see other families discover this beautiful town or return to celebrate their time-honored traditions.